Whether you are an American or Canadian citizen preparing to drive on vacation or business for any duration in Mexico, it is advisable for you to purchase short-term Mexican car insurance. But you may ask: Is Mexican car insurance necessary? Definitely, it is. There is a relationship between U.S.A. and Canada that recognizes the car insurance policies of one another. 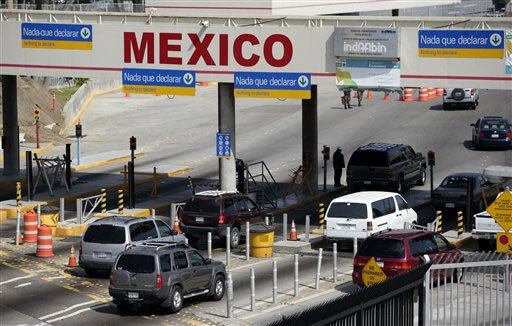 But since such relationship does not exist between Mexico and the two countries, Mexico does not recognize both countries’ car insurance policies. That is why you will need a separate auto insurance policy recognized by the Mexican government for you to drive your vehicle in Mexico. You may understand that driving in Mexico without proper Mexican car insurance coverage is illegal (this depends on your source of information). However, other people may argue that it is totally unnecessary. Well, the truth is actually in the middle. The Mexican law is similar to the U.S. law in that it simply requires anyone driving in the country to have the financial resources to be able to pay for any damages caused by an accident. Those resources can come from either a car insurance policy or a very fat bank account. 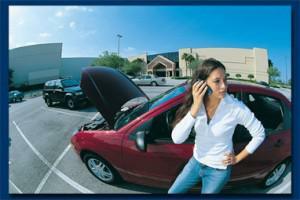 An auto accident in Mexico is considered as a Criminal and Civil matter. According to the Mexican law, if a driver has no proof of ability to pay damages either with a valid Mexican car insurance policy or in cash at that time of an accident, he/she may be straightaway jailed and the vehicle could be impounded – perhaps both will happen. And for your information, carrying with you lots of cash will not help either because just like in the U.S., car repairs in Mexico can cost you an arm and a leg – running into tens of thousands of dollars. Because most U.S. and Canadian citizens are not aware that they need a separate insurance policy before they cross the Mexican border, several enterprising folks have opened offices along the border where insurance is readily obtainable. But here, you need to be aware of some important things. 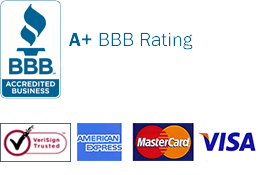 To begin with, you will not get the best rates since these car insurance carriers are aware that the moment you step into their office, you are stuck. It can cost you twice or even three times the price of shopping online. That is why you should shop around before you set on your trip for the best price on Mexican coverage. The second thing is that unless you speak Spanish, you will not be able to tell whether you purchased a valid car insurance policy or just a useless piece of paper. The documents issued at the border are mostly written in Spanish. After purchasing your Mexican car insurance online, you should ensure that you are furnished with all the proper documents in English and Spanish in good time. Before you leave home, you need to confirm that the car insurance company that has provided you with the policy is recognized by the Mexican government so that you can keep on the right side of the Mexican law. Even if you plan just one day across the border and you are ready to take a risk, it is still a bad idea. Don’t take the risk. You could be a very safe driver who has never been in an accident once, but remember there is always the first time! The fact that Mexican drivers don’t essentially stick to the same traffic rules as Americans makes matters even worse. Anytime you are driving in a foreign environment, you increase the chances of an accident. This is a reality for any country you might be driving in – including Mexico. You need to ask yourself whether, with a real possibility of a jail time it is worth the risk. As a matter of fact, the Mexican insurance policies are both very affordable and easy to purchase, so there is no good reason for you to drive in Mexico without purchasing one. So Is Mexican Car Insurance Necessary? Yes, very much so. Not only when you go to Mexico that you should keep your health good. You must be physically fit and healthy all the time to enjoy every moment in Mexico. If you want to save more money, go to Mexico and find open air markets. There are tons of great products you can buy at affordable cheaper prices. Be smart! Avoid driving recklessly and drive during the day only. Driving at night is more prone to accident and can ruin your vacation in Rocky Point. Knowing about Mexico City is a wonderful way to encounter the great city. You only need Mexican insurance to prepare things then you’re up in Mexico. Tijuana, Baja Peninsula, and Ensenada are just few of the great places to go from Long Beach to the border. Participation in a car wreck in Mexico can be a legal issue with their Napoleonic law principles and this is where Mexican insurance comes in handy. If trouble hits you on the road, remember not to leave kids or pets alone inside the vehicle. Mexico insurance provides online help! We’re thinking of travelling in Mexico for the holiday season and we believe this site is reliable enough to inform us about the Christmas traditions we can experience. There’s always commercial traffic in big highways, especially in the evening. Be cautious of big trucks and vehicles. Driving with Mexico insurance for cars is a must. Look out for cattle or horses too. Mexican Insurance Store companies pay many, many livestock claims each year. Makes State Farm look like amateurs. Still wondering why many travelers ask if they should buy Mexican insurance before driving! The answer remains yes and it should be taken seriously. Government law in Mexico requires drivers to get quality Mexican insurance. Ignoring such requirement would mean going against their law. It is necessary to have our auto insured with Mexican insurance. No one can say the time we need it most, especially when we need claims. What is mandatory in Mexican law is to have a valid Mexican insurance policy. It’s your protection while driving and while away from home.